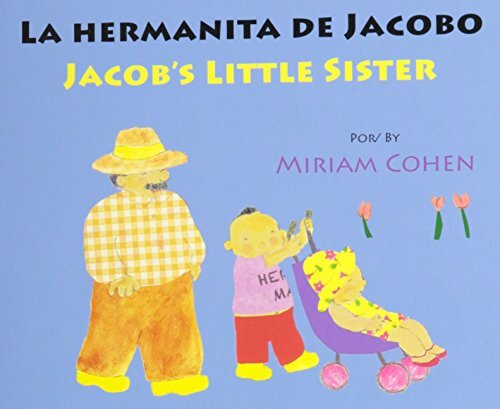 9781595726896 | Board book edition (Star Bright Books, October 1, 2014), cover price $6.99 | About this edition: Jacob's little sister is as cute as a button, but she runs everywhere in the park. 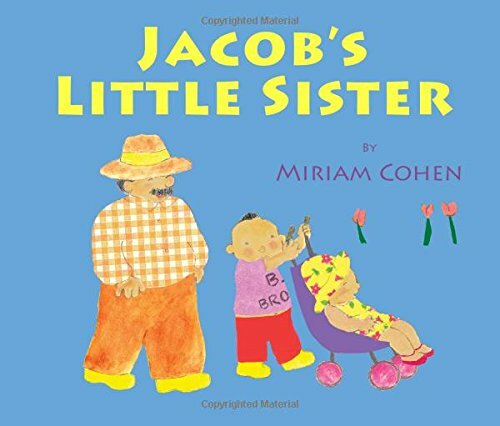 9781595726902 | Brdbk blg edition (Star Bright Books, October 1, 2014), cover price $6.99 | About this edition: Jacob does not ride on his father's back any more. Product Description: Backpack Baby is so happy! He shares his big secret with everyone he meets, but keeps the listener guessing until the last page. He has a new sibling! 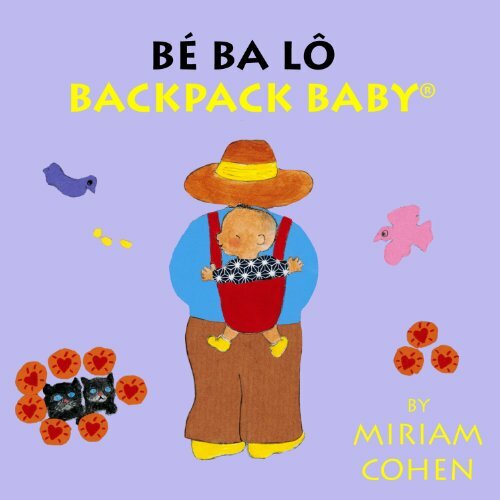 9781595726322 | Brdbk blg edition (Star Bright Books, September 30, 2013), cover price $5.99 | About this edition: Backpack Baby is so happy! 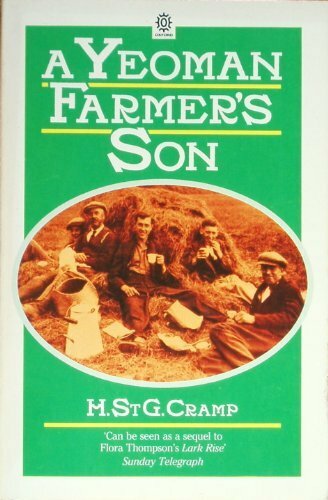 9780192819529, titled "A Yeoman Farmer's Son: A Leicestershire Childhood" | Oxford Univ Pr, September 1, 1986, cover price $4.95 | also contains A Yeoman Farmer''s Son: A Leicestershire Childhood | About this edition: The small village of Tur Langton in Leicestershire lies at the heart of Harold Cramp's childhood autobiography just as it was the pivot of his early world. 9781595720856, titled "Bee My Valentine" | Star Bright Books, January 15, 2009, cover price $15.99 | About this edition: It's Valentine's Day and the first graders are excited about the cards they will receive. 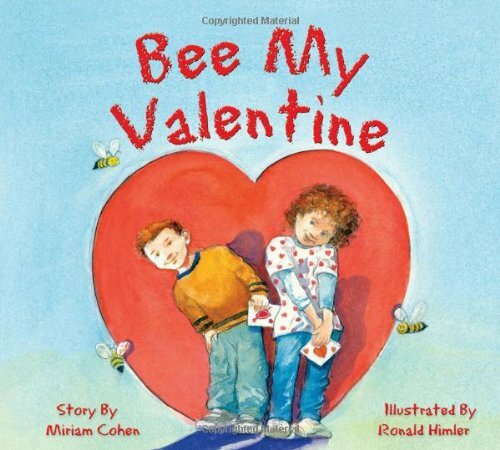 9781595720863, titled "Bee My Valentine" | Star Bright Books, April 1, 2009, cover price $6.99 | About this edition: It's Valentine's Day and the first graders are excited about the cards they will receive. 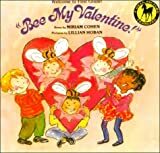 9780440411215, titled "Bee My Valentine" | Dell Pub Co, February 1, 1996, cover price $5.99 | About this edition: With some people getting lots of cards and others not, Jim and his friends set out to make Valentine's Day a wonderful holiday for everyone in the first grade. 9780804566483, titled "Bee My Valentine" | Pap/cas edition (Spoken Arts, June 1, 1989), cover price $16.90 | About this edition: With some people getting lots of cards and others not, Jim and his friends set out to make Valentine's Day a wonderful holiday for everyone in the first grade. 9780808531951 | Turtleback Books, October 1, 1999, cover price $14.15 | About this edition: With some people getting lots of cards and others not, Jim and his friends set out to make Valentine's Day a wonderful holiday for everyone in the first grade. 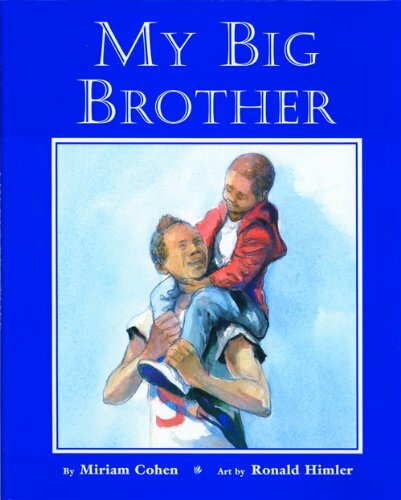 Product Description: A little boy idolizes his older brother. So when his big brother leaves for the army, the boy has some very big shoes to fill. 9781595720078 | Star Bright Books, February 15, 2005, cover price $15.95 | About this edition: When his big brother leaves to become a soldier, a boy does what he can to take his place in the family. 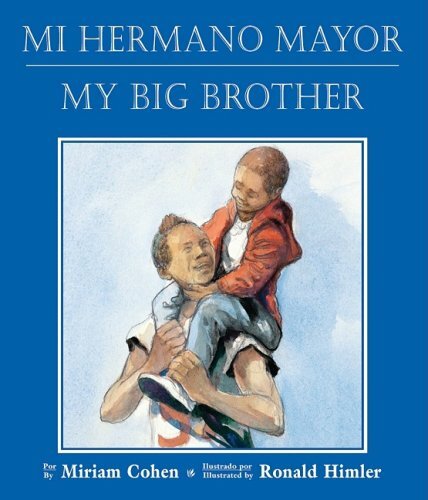 9781595721587 | Star Bright Books, December 1, 2008, cover price $6.95 | About this edition: A little boy idolizes his older brother. 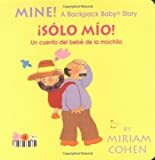 9781595720375 | Bilingual edition (Star Bright Books, December 1, 2008), cover price $6.95 | About this edition: The young narrator of this story is a little boy who idolizes his grown-up brother. 9781595721501 | Bilingual edition (Star Bright Books, August 30, 2008), cover price $15.95 | About this edition: This timely book, reissued with new art, goes right to the heart of the school testing issue. The first grade's costume party is interrupted by the third grade bully. 9781595720719 | Star Bright Books, February 28, 2008, cover price $15.95 | About this edition: When the first grade plans an exciting costume party, Anna-Maria decides to be a fairy princess, Sammy a tramp and Danny a hiccup! 9781595720726 | Star Bright Books, February 28, 2008, cover price $5.95 | About this edition: The first grade's costume party is interrupted by the third grade bully. 9780027227604 | Atheneum, October 1, 1974, cover price $4.95 | About this edition: The first grade's costume party is interrupted by the third grade bully. 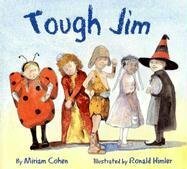 When Jim's dog is killed, the other first graders experience with him his natural reactions to death. 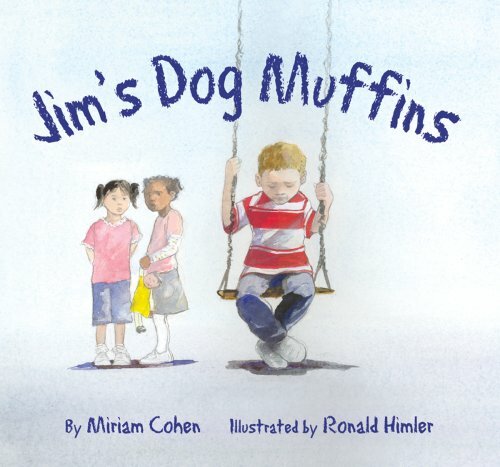 9781595721006, titled "Jim's Dog, Muffins" | Star Bright Books, February 28, 2008, cover price $5.95 | About this edition: When Jim's dog is killed, the other first graders experience with him his natural reactions to death. 9780440411246 | Bantam Dell Pub Group, July 1, 1996, cover price $4.99 | About this edition: Jim's friend's at school help him to overcome his sadness at the death of his pet dog. 9780440442240 | Reissue edition (Yearling Books, January 1, 1988), cover price $3.25 | About this edition: Jim's friend's at school help him to overcome his sadness at the death of his pet dog. 9781595720993 | Star Bright Books, February 28, 2008, cover price $15.95 | About this edition: When Jim returns to school after his dog, Muffins, is hit by a garbage truck and dies, the first-graders try to share his loss and ease his pain. 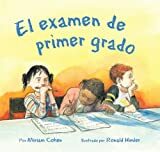 9781595720542 | 2 reissue edition (Star Bright Books, November 30, 2006), cover price $15.95 | About this edition: The first grade is distressed by an intelligence test which fails to measure true aptitude. 9781595720559 | Reissue edition (Star Bright Books, November 30, 2006), cover price $5.95 | About this edition: The first grade is distressed by an intelligence test which fails to measure true aptitude. 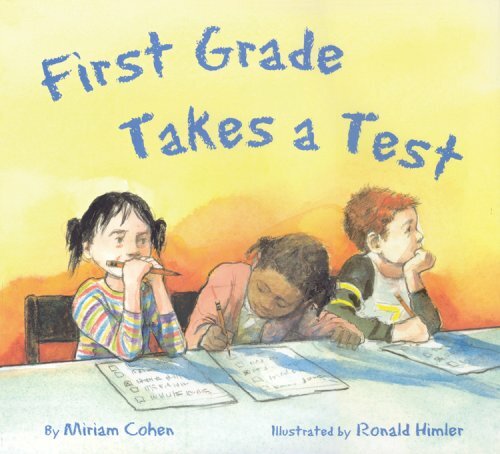 9780440410935 | Reprint edition (Yearling Books, September 1, 1995), cover price $4.99 | About this edition: A teacher wisely convinces her first-grade students that even though they did not do very well on a multiple-choice test, there are some abilities a test cannot measure. 9780440425007 | Reissue edition (Dell Pub Co, December 1, 1985), cover price $2.95 | also contains Steering the Craft: A Twenty-first Century Guide to Sailing the Sea of Story, Steering the Craft: A Twenty-first-century Guide to Sailing the Sea of Story | About this edition: A teacher wisely convinces her first-grade students that even though they did not do very well on a multiple-choice test, there are some abilities a test cannot measure. 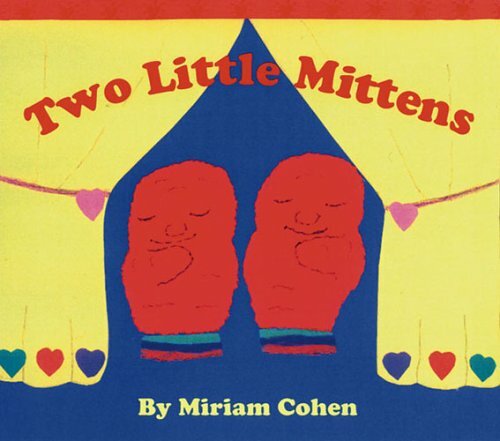 The two little mittens do everything together--reading, drawing, playing--until one of them gets lost. 9781595720443 | Star Bright Books, October 30, 2006, cover price $6.95 | About this edition: The two little mittens do everything together--reading, drawing, playing--until one of them gets lost. 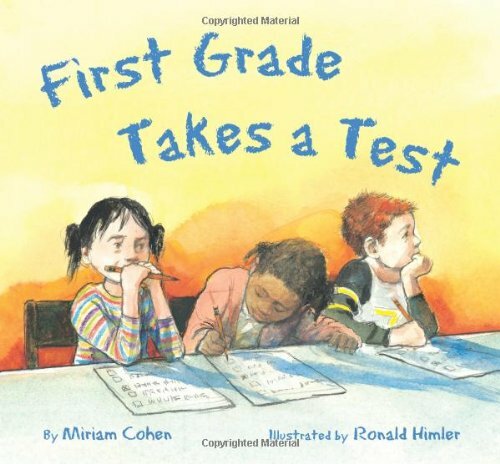 9781595721532 | Star Bright Books, October 1, 2006, cover price $15.95 | About this edition: This timely book, reissued with new art, goes right to the heart of the school testing issue. 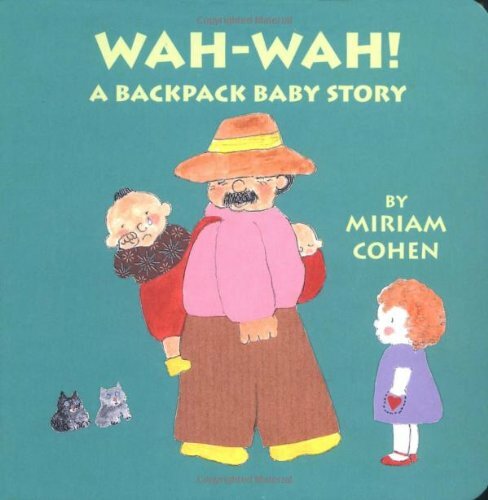 Product Description: Backpack Baby shows all of his things. Then he points out one special "think" and proudly proclaims it, "Mine!" 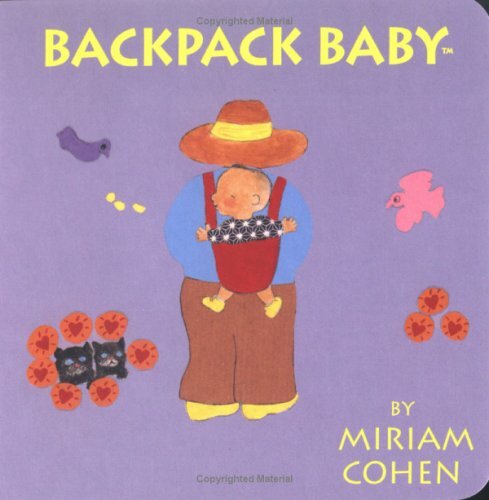 9781595720191 | Brdbk blg edition (Star Bright Books, April 15, 2005), cover price $5.95 | About this edition: Backpack Baby shows all of his things. 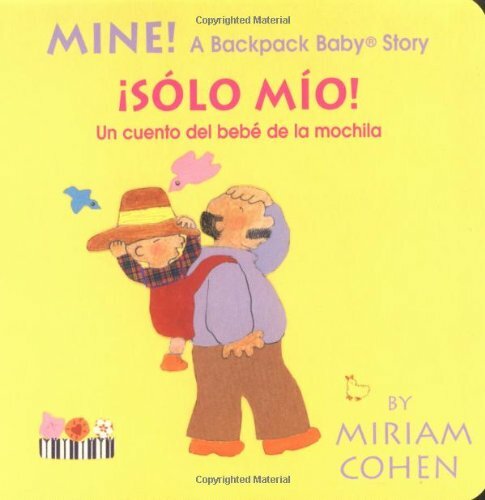 A youngster riding in a backpack has a secret to share with everyone he sees. 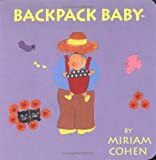 9781595720184 | Brdbk blg edition (Star Bright Books, April 14, 2005), cover price $5.95 | About this edition: A youngster riding in a backpack has a secret to share with everyone he sees. Six stories describe the experiences of two sisters growing up in Brooklyn in the time of Shirley Temple movies and trolleys. 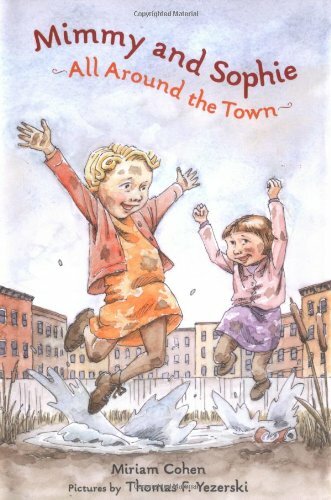 9780374349899 | Frances Foster Books, March 10, 2004, cover price $16.00 | About this edition: Describes the experiences of two sisters growing up in Brooklyn in the time of Shirley Temple movies and trolleys. Product Description: Animals follow Mama through every scene as she hurries to a party for her three chicks that are about to hatch! Hurry, Mama! 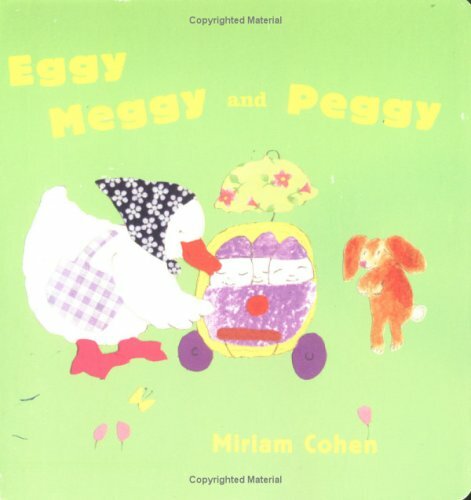 9781932065091 | Brdbk ill edition (Star Bright Books, March 1, 2003), cover price $5.95 | About this edition: Animals follow Mama through every scene as she hurries to a party for her three chicks that are about to hatch! 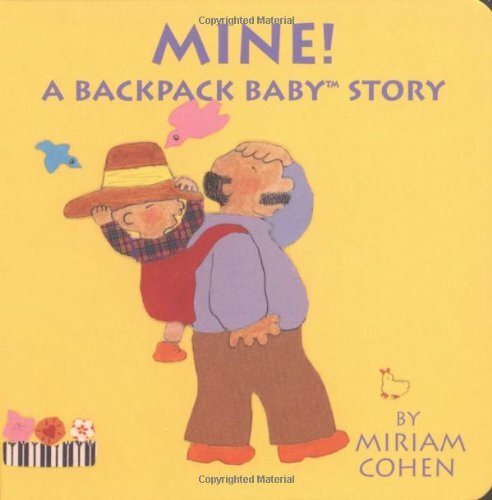 Product Description: Backpack Baby is feeling grumpy and wants everything he sees, but Daddy says "no." Backpack Baby cries and wakes his baby sibling. Only he knows how to make the baby happy again! 9781887734813 | Board book edition (Star Bright Books, February 1, 2003), cover price $5.95 | About this edition: Backpack Baby is feeling grumpy and wants everything he sees, but Daddy says "no. 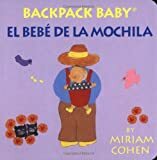 Backpack baby will not say 'hi' to his friends, but when he finds something he considers very special, he shares it with everybody. 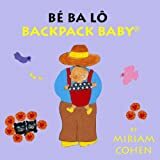 9781887734820 | Board book edition (Star Bright Books, January 1, 2003), cover price $5.95 | About this edition: Backpack baby will not say 'hi' to his friends, but when he finds something he considers very special, he shares it with everybody. A group of children helps one of their classmates stop spoiling their play and follow his own dreams. 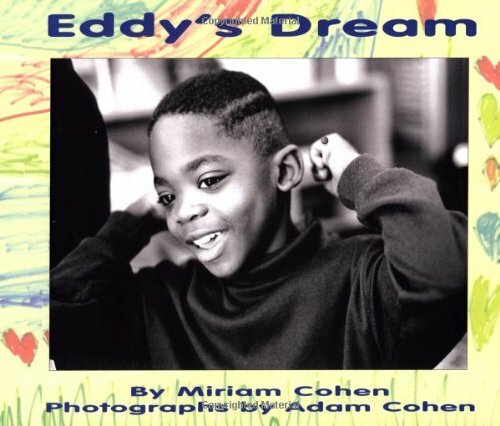 9781887734578 | Star Bright Books, October 1, 2000, cover price $16.95 | About this edition: A group of children helps one of their classmates stop spoiling their play and follow his own dreams. 9780688018054 | William Morrow & Co, April 1, 1983, cover price $12.88 | About this edition: The first graders learn to accept the new boy, who is blind, as just like themselves.